HME Archer's Platform Post. 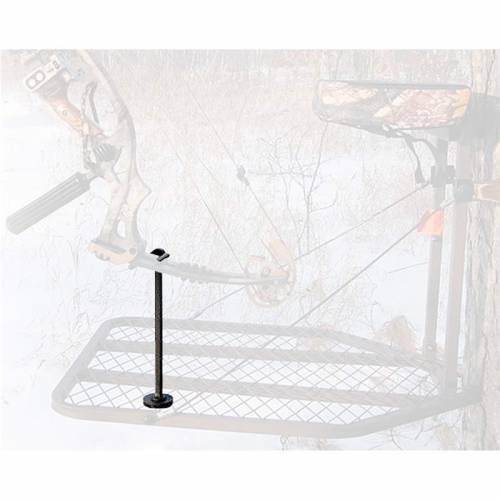 Platform post universally mounts to all treestand platforms. Elevated design allows the bow to be supported and easy to reach. Quickly and securely mounts to platform with one stainless steel bolt. Hanger fork rotates 360 degrees and is vinyl coated to protect bow finish.